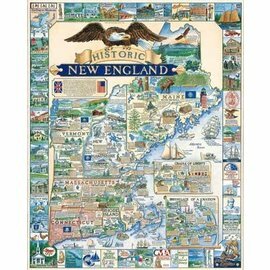 White Mountain Puzzles made in New Hampshire. 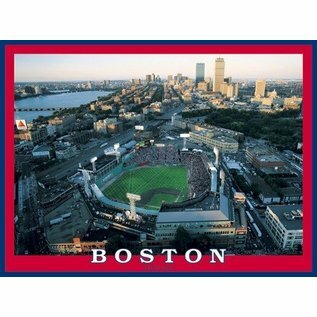 Fenway: This Fenway Park puzzle celebrates Boston's Fenway Park, which has served as the home ballpark of the Boston Red Sox baseball club since it opened in 1912. 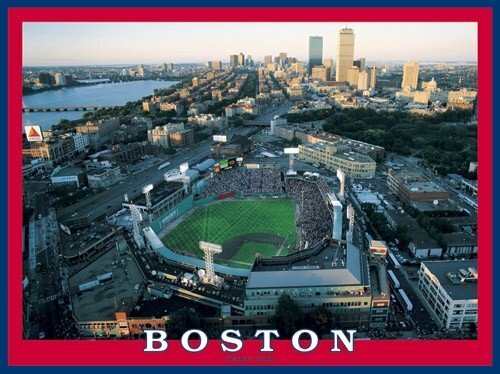 Fenway is the oldest Major League Baseball stadium currently in use and is also the oldest venue used by a professional sports team in the United States. Fenway Park photo by Mike Smith. 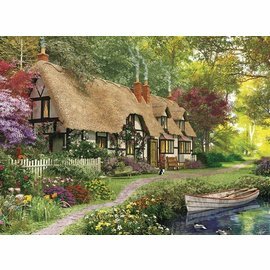 550 piece puzzle Finished size 18" 24". 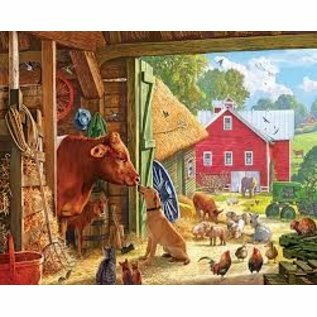 Barnyard Buddies: In bygone days we stored our White Mountain Puzzles in the big red barn next door to our offices in Jackson, New Hampshire. 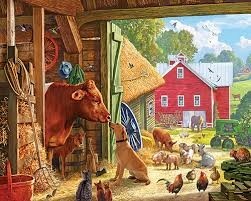 The cows had moved out, but you knew they had once lived there! That same red barn was disassembled, labeled & numbered, and moved about a quarter mile to be reconstructed as the beautiful new Jackson Public Library. 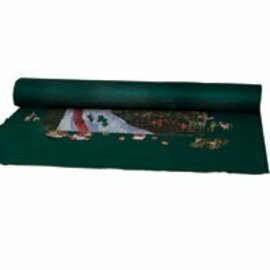 550 piece puzzle with a finished size of 18" x 24". 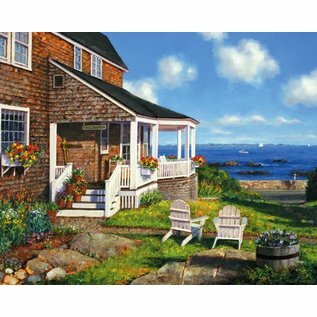 Seaside Cottage: You have seen this shingled house before...on Nantucket, Martha's Vineyard, Block Island or Peak's Island, Maine. 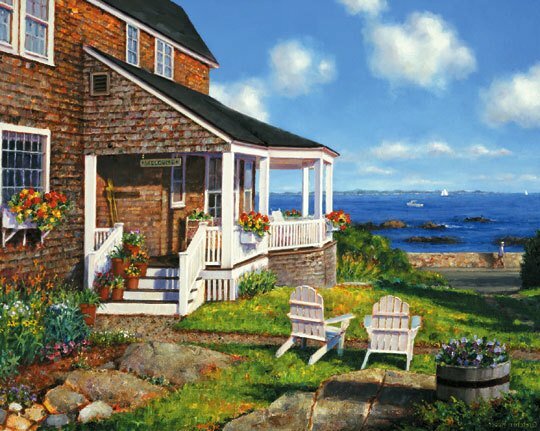 The artist has created the classic seaside cottage on a perfect summer day. 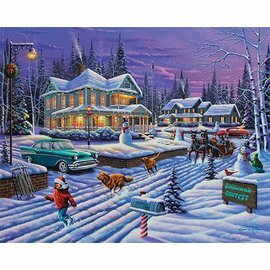 When the fog rolls in (as it surely will), the family living there may set this puzzle up on a card table by the picture window... to remind themselves of perfect days to come. Artist: Gretchen Huber Warren. 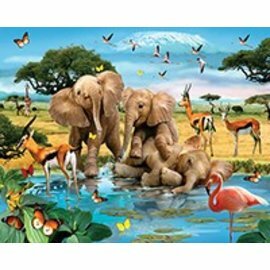 1000 piece jigsaw puzzle. Finished size 24" X 30". 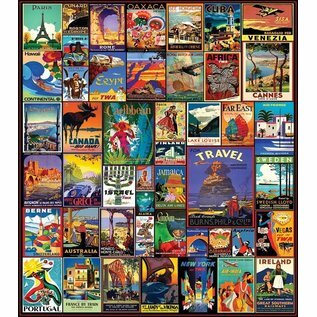 Travel the World - Take a trip from the comfort of your own home with this exciting puzzle by Lewis T. Johnson. 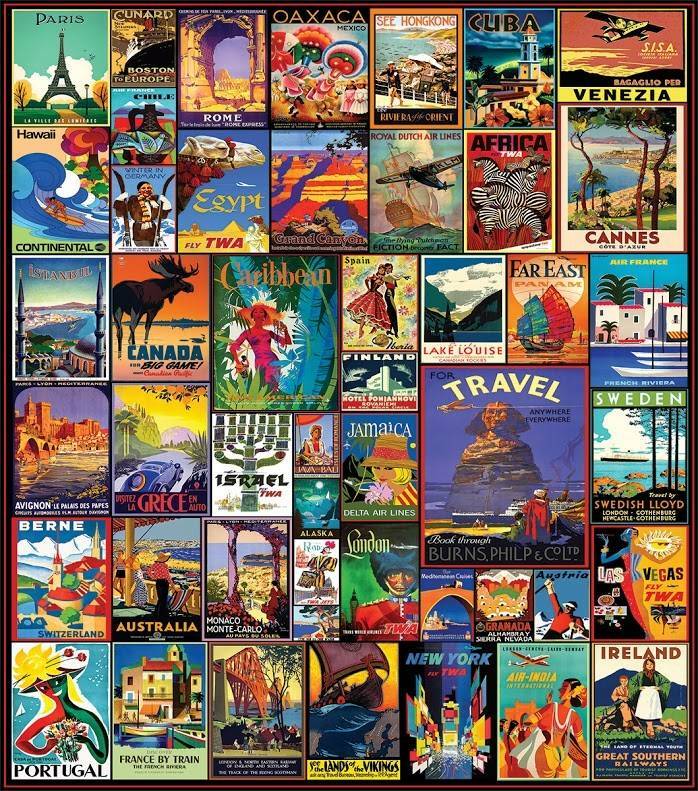 Beautiful vintage posters take us to Cuba, Israel, India, France, Switzerland, Monaco, Australia and Ireland, to name just a few destinations. 550 pieces. 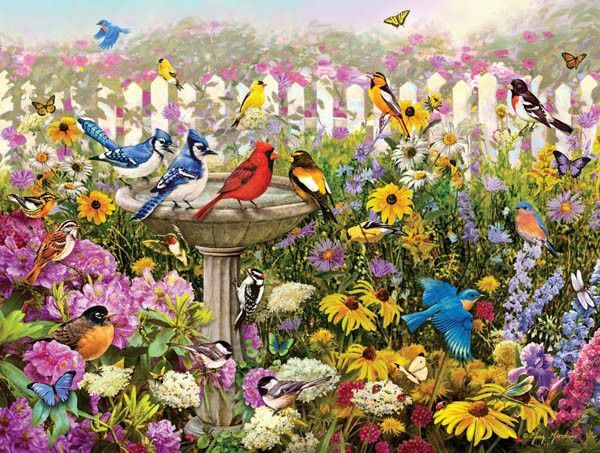 Birds of Summer - It's a spirited depiction of a bright summer day, with some of our finest feathered friends frolocking in a colorful garden, beautifully painted by Greg Giordano. 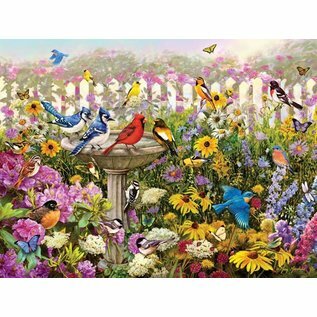 This 550 piece bird jigsaw puzzle is bursting with colors, from the overgrown wildflowers to the circle of birds, including robins, bluejays, bluebirds, and orioles that gather around the birdbath. Let the peaceful nature scene take you back to a warm summer day, and listen for the joyous harmonies of bird songs as you feel the warmth of the sun wash over you. 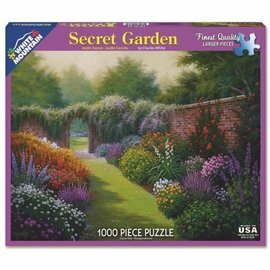 This puzzle is 18" x 24" finished size, and will be sure to give you just enough challenge for a few hours of fun.